With the colder months upon us, you’re likely to start to see an increase in staff absences. Difficult to manage, it can also lead to an increase in business costs as agency staff are brought in to cover staff shortages. It’s timely to look at your infection control regime and make sure you have the best systems and procedures in place to ensure your staff remain healthy during the winter months. Cleaning and disinfection alone are not enough to stop the spread of bacteria. As soon as the area is cleaned, the airborne microorganisms immediately begin to settle and continue to grow and spread. 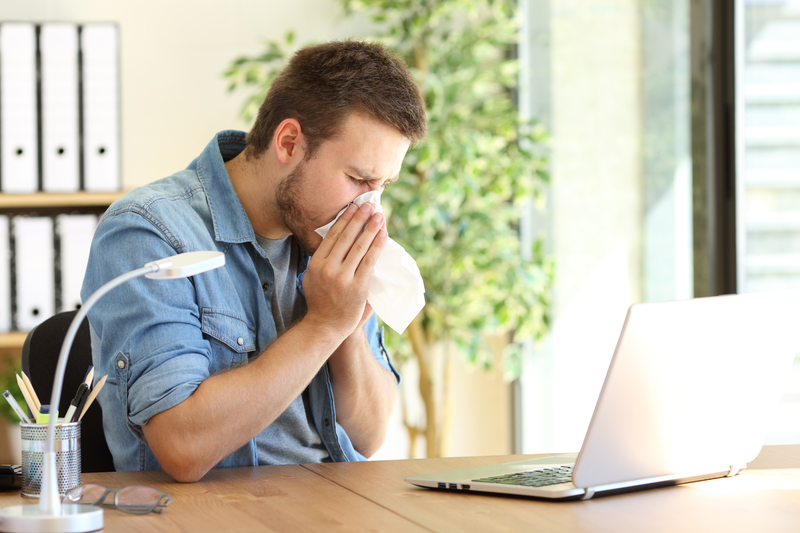 To reduce the risk from viruses and infections, such as norovirus, common cold and influenza, air quality management should be a key component of your infection control regime. This is where we come in at Simply Washrooms. We supply AIRsteril, the scientifically proven air purification system. It improves the quality of air in enclosed spaces by cutting odours and the bacteria, viruses, mould, fungi and volatile organic compounds (VOCs) found in the air and on surfaces such as door handles and taps and sinks, that can present a health risk. AIRsteril products use a unique process based in UV technology and a series of purification activities both inside the equipment and in the ‘cascading’ plasma exiting the equipment. It works by using ultraviolet light operating at peak UVC wavelengths. Otherwise known as ultraviolet germicidal irradiation (UVGI), UVGI is highly effective at destroying the nucleic acids in microorganisms with the UV radiation disrupting the microorganisms’ DNA, leaving them unable to perform vital cellular functions. The result is a more hygienic air system that reduces the spread of bacteria illnesses and keeps staff healthy. Contact us for more information about how you can reduce staff absenteeism this winter.